Finding the best casinos in the world is a snap. Whether you prefer old school class or modern streamlining, casinos all over the world are serving up so much more than just gambling. 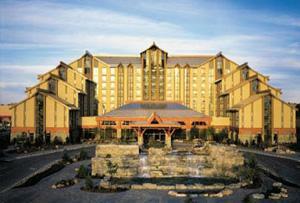 Most of the casinos are now resorts, boasting amazing hotels, restaurants and exotic locations. Here are some of the best casinos on the planet. The first place to start your tour of the world’s best casinos is right in the heart of Nevada: Las Vegas. Sin City is among the biggest casino providers in the world. Today it serves gambling, live shows, restaurants and other attractions up big for the average tourist. 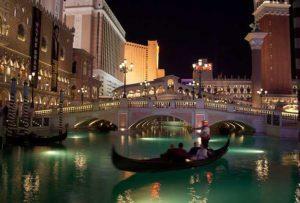 The Venetian itself is perhaps the finest casino in the United States. It offers plenty of gambling action, live shows, vibrant nightlife, access to local restaurants and a view of the famous strip’s dazzling nighttime lights display. The Venetian also hosts weddings and business meetings. Don’t be surprised if you run into a celebrity while you’re there, either! 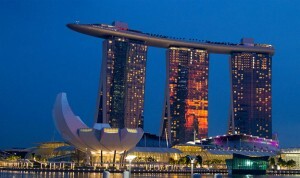 Marina Bay Sands is another famous spot for gamblers to converge and enjoy the city lights. The Sands in Marina Bay is absolutely stunning, if not otherworldly with its three massive tours and luxurious accommodations. There are restaurants and live shows within the hotel, as well as access to all of the region’s local attractions. There is a viewing platform on the room of the hotel, providing stunning views of the entire city. 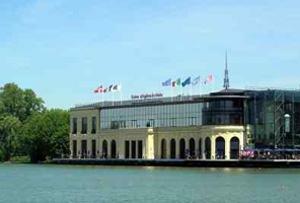 The Casino ‘Barriere d’Enghhein-les-Bains’ is truly a dream vacation spot for many people. Why not visit while staying a luxurious casino? The decorations of the casino are all reminiscent of the 1920s, giving it a retro ambience and beautiful coloring. There are over 40 game tables and about 280 slot machines. Barriere is the only casino with slot machines in Paris. You must be eighteen years or older to visit the casino, and the dress code must be adhered to – formal clothing at all times. If you are visiting as a foreigner, you may use your passport as your form of ID. Canada has just opened up its first commercial casino that boasts over 2,000 slot machines and plenty of game tables. The interior is breathtaking and incredible. It’s a classy, elegant place, so be sure to wear formal attire when you step inside. Their live shows have featured people like Faith Hill and Diana Ross. It’s definitely worth visiting. Karen Andersen the author of “The world’s top 4 casinos” is from the US but the last ten years she resides in Cyprus where she works for an international hotel & casino company.